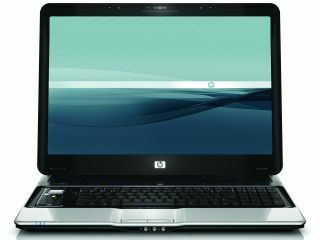 HP isn't exactly the coolest of PC vendors, but a new launch in Japan promises to change all that in an instant. The company's new wave of Windows laptops due in September will come with their own internal SIM cards capable of connecting to a nationwide HSPA network for net connections at up to 7.2Mbps. Not only that, but they'll also be subsidised, with prices likely being competitive with Asus and the other makers at the low-end of the market. However, the really innovative part of the package is the fact that shoppers won't have to sign up for a wireless data contract – effectively, a new mobile phone just for the PC with the usual monthly charges. Instead, the PC and its SIM come pre-authorised, so users only have to enter payment details when they want to get online. If they don't use the connection, there's no ongoing charge. Online time will cost either ¥10 (6.5 pence) a minute via the mobile network or ¥300 (£1.90) a day for Wi-Fi access through any of 15,000 nationwide hotspots. Each machine will also come with 100 minutes of free airtime to sweeten the deal, so if the hardware is up to scratch we can see HP making some serious inroads.